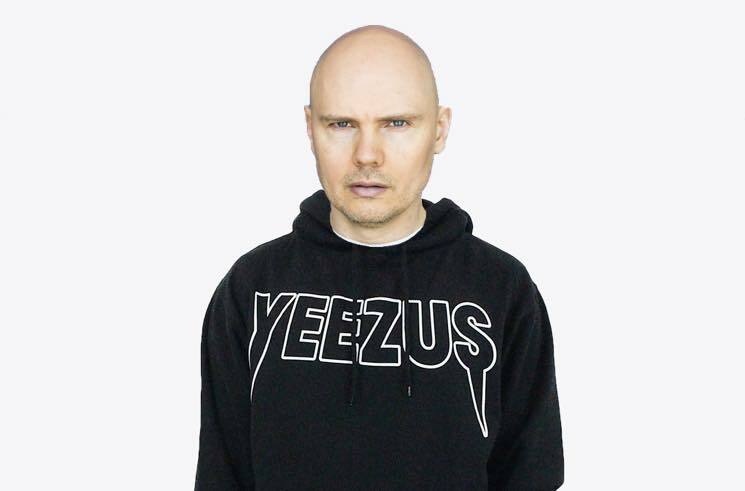 Billy Corgan has shown extreme dedication to answering fan questions on Instagram, and now he's made another explosive revelation via the 'gram — he wants to work with Kanye West. The pair both hail from Chicago and have a tendency to make outlandish claims in the media, and while their music may seem at odds with one another's, West's friend and collaborator Kid Cudi made it work earlier this year on the "Bullet with Butterfly Wings"-sampling song "The Rage." No plans have actually been formulated for Corgan and West to join forces just yet, but in the meantime, Corgan's enthusiasm for West's work only further proves his claims that he isn't Taylor Swift's dad. It's a much bigger boost for 'Ye than Corgan gave him a couple years ago, when he publicly denounced the rapper's behaviour at the Grammys. Corgan also said that if Kanye had rushed the stage while he was accepting an award (as West did to Beck), he'd punch him. During his Instagram Q&A, Corgan also revealed that he'd like to work with Jerry Cantrell and said that he's open to the idea of making a kids album one day.